Hendrix’s vaultingly ambitious 1968 double album, covered extensively in Issue 19 of Long Live Vinyl, was a full realisation of his futuristic vision. 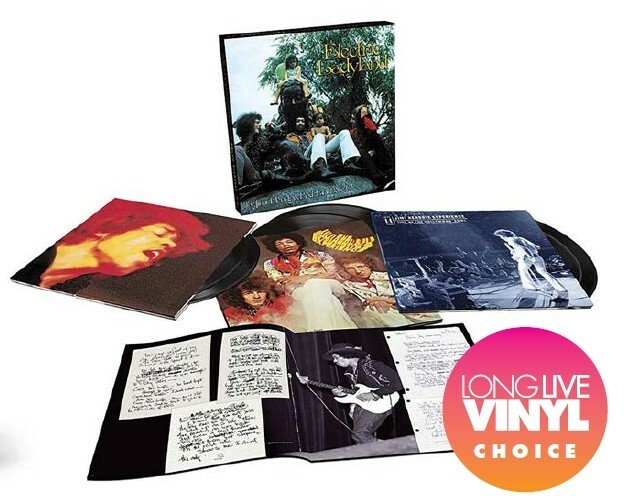 This 6LP and Blu-ray 50th anniversary Deluxe Edition comes in a box that finally features Hendrix’s preferred cover design – the Linda Eastman photograph of the band and children at the statue of Alice In Wonderland in Central Park. 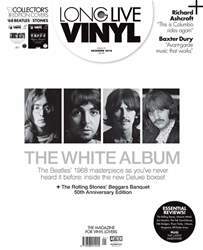 Inside, there’s an analogue remastering of the album from the original studio masters by Bernie Grundman across two discs, along with an Eddie Kramer-produced 5.1 surroundsound mix – a first for Hendrix’s music in the format. The Early Takes let us put our ears to the wall and eavesdrop on Jimi recording his …Ladyland song ideas to a reelto- reel tape at New York’s Drake Hotel, alongside some great early studio work featuring Buddy Miles, Stephen Stills and Al Kooper. Jimi Hendrix Experience: Live At The Hollywood Bowl 9/14/68 is a recently discovered, rough-and-ready soundboard recording of a hit-packed performance. The package also includes At Last… The Beginning, a 1997 ‘making of’ documentary on Bluray, plus a 48-page book of Jimi’s handwritten lyrics and notes, and unseen Kramer shots from the sessions, rounding out a reverential, extra-mile tribute offering some genuinely fresh fare.